Need an incentive to book your new driveway with Powell Paving Ltd? We are offering £100 off EVERY new driveway! Looking for a good quality driveway or patio at affordable prices? 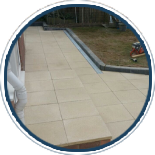 Look no further than our trustworthy, family run business at Powell Paving Ltd. With over 25 years experience in the paving and landscaping industry, our dedicated team have the knowledge and the know how to design, supply and install stunning driveways and patios for you and your family to enjoy for many years to come. Based in Romsey, we serve both Domestic and Commercial customers in Southampton, Fareham, Portsmouth, Basingstoke, Winchester, Whitchurch, Andover, Salisbury, Christchurch, Bournemouth and all surrounding areas. 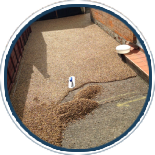 We can repair, restore and professionally clean existing paving to bring it back to life too as well as installing drainage or making your existing drainage more sufficient. 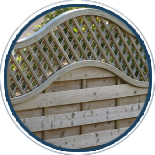 If you are looking for your garden to be landscaped, want a wall or fence built or require some other small building works to be undertaken then our team can cater to your needs. Just give us a call and explain your individual requirements, our team will be at hand to advise and guide you in the many high quality materials we use that are available in todays´ market and also what would best suit your property and your needs. All our work is fully guaranteed and we have public liability insure of £2m. 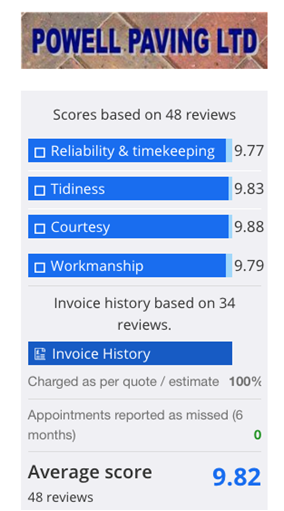 You will find Powell Paving Ltd advertising in your local papers, you can find excellent customer reviews on our Checkatrade page too where you will find out what our customers are really saying about us. We offer free site surveys, free no obligation quotations at affordable prices and we even offer a 14 day cooling off period, along with free helpful advice and guidance. Lay patio, paths and edging in garden. "Glyn and the team did an excellent job, they got over problems from a previous contractor and we now have a fantastic path and patio. They are coming back shortly to lay the lawn. We are so pleased we found Glyn and when he has done the lawn he will have created the garden we wanted, thank you Glyn and the team we would highly recommend you to anyone." New front wall and cement driveway. "We arranged for the work, a new front wall and brick edged cement driveway to be done while we were away on holiday and it was all completed by the time we returned. The work was done as agreed and the site left clean and tidy. We are very pleased with the result and would not hesitate to recommend this company to others." "Very pleasant to deal with, very helpful, very pleased with the work and would definitely use again." "I found them to be hard-working, tidy and completed the job in good time." Standard driveway Block Paving approx. 56sq metres. "Quote provided within 3 working days of first visit for original spec and within 1 day when we changed our minds over the surface. Start date provided 7 weeks before commencing and turned up on time on the day. One day aborted due to bad weather but was advised by email at 0730 that they would not be coming. Work completed on time to high standard at very reasonable price compared to other quotes. Attention to detail in preparation work (removal of rough laid concrete and gravel surface) and laying of driveway was first class. Highly recommended company." Blockpaving path to front door. "I needed wheelchair access to my house urgently. Mr Powell and his staff went out of their way to get the job done quickly . We were consulted about the path throughout the process. 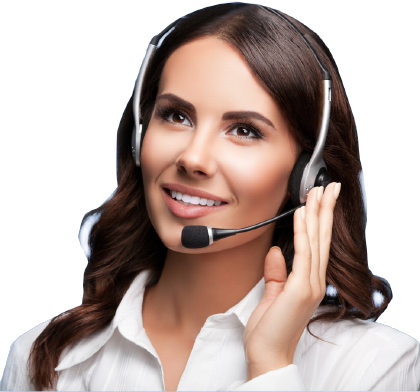 A really professional, reliable service. The path looks beautiful, with much attention to detail. I would recommend them most highly." Patio - remove old wooden patio and re-pave with sandstone slabs. "Excellent job. Easy to deal with. everyone helpful at all times. Tidy, careful, courteous and reliable. We are delighted at how the job was executed and how the new patio looks. Strongly recommended." Remove and replace patio, new soakaway and pipes, relay existing slabs, new kerbs, hand rail. "Mr Powell has done several jobs for us. Always polite, informative as work proceeds, tidy, on time, very pleased with final job." "Powell Paving completed all of their work to an excellent standard and were very polite, friendly and tidy through the whole process. I would recommend Powell Paving to anybody having similar work done."